​A World Cup winning captain with France last summer, saying Hugo Lloris has endured a mixed season at Tottenham would be apt. The goalkeeper has pulled off a number of highlight-reel worthy saves as he does, but there's a nagging feeling that the 32-year-old is losing the consistency to be regarded as one of the very best in the business. 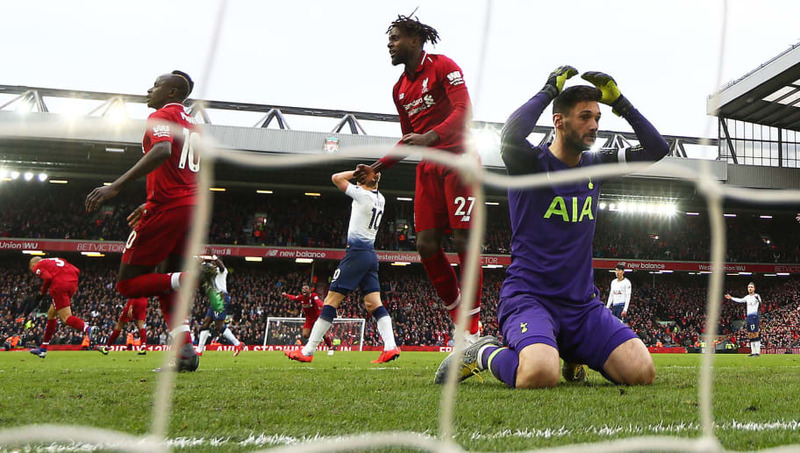 Having gone into the break trailing 1-0 at a rocking Anfield, tactical changes by Mauricio Pochettino saw ​Spurs fight back in the second-half and deservedly level things up through Lucas Moura. With the top four race as close as it's ever been, a point at Anfield would have been a fantastic result for a Spurs side that were in wretched domestic form before the international break. ​Still involved in the hunt for the ​Premier League title, and coming up against a ​Chelsea side fresh off the Kepa Arrizabalaga debacle in the Carabao Cup final, it was all set up for Spurs to turn at Stamford Bridge and avenge their 2016 demons. Instead, Lloris hit the self-destruct button to send his side's title hopes up in smoke.